Most cats will go absolutely mad for the tiniest bit of Catnip. Tuxedo Cats have a particularly strong sense of smell and are therefore very partial to a bit of catnip. Most cats will grow tired of catnip after a day or two when the catnip loses it’s scent however our Tux cat, Whisky, will return to her catnip toys for weeks, her sharp senses help her to get more out of her catnip than the average cat! If you are looking for the perfect Catnip toy for your cat then have a look below, our cat has tested and reviewed many catnip toys and has given us a list below of her favourite nine! 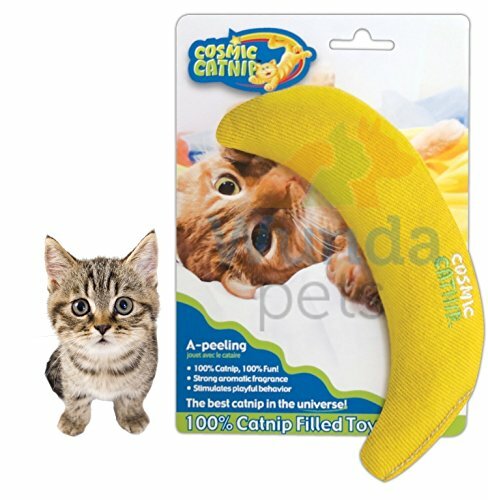 Our number one choice of catnip toy is this multipurpose catnip chew toy and cat teeth cleaning aid! 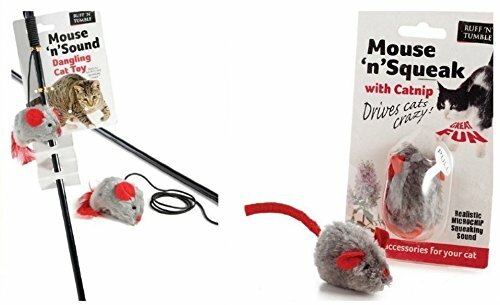 These brilliant chew mice are thoroughly enjoyed by most cats and they are also good for the cat because the netting helps keep your cat’s teeth clean and also removes tartar. Filled with good quality catnip (or so I deduced from our cats enthusiastic reaction to it) these are a great toy to give to your cat every now and again, particularly if you have any concerns about their teeth. It’s well worth buying a five or six of them at once and allowing your cat to play with them throughout the year to ensure that their oral health is kept in check! One thing we learnt from using them is that it is a good idea to crush the mouse in your hands first to ensure that the catnip inside is broken up otherwise your cat may not be anywhere near as interested! Also Read: Stuffed Cats – Ever Wanted a Toy That Looks Just Like Your Cat? In at number two is the Silvervine stick which gets such a high placing in our list because silvervine is a great catnip alternative to try out on any cat who may not be too excited by regular catnip. Silvervine is a mountain vine which is grown in South Asia, it elicits the same response from cats that you generally get with catnip. IF you cat is unresponsive to catnip it is well worth trying out one of these Silvervine sticks as some cats which don’t respond at all to catnip respond very well to Silvervine. 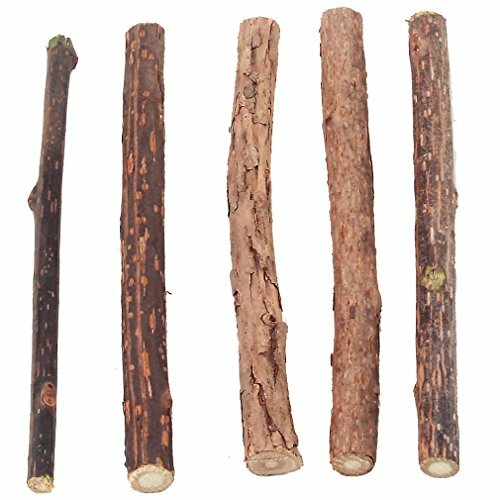 These sticks are much loved by our own Tuxedo cat, the hard wearing catnip infused sticks are a great treat for cats and they last a very long time. Our cat still hasn’t managed to break hers yet despite having it for over a week! Kong are known for their highly durable pet toys and this one is no different, packed with strong catnip and featuring four long dangling legs this will provide hours of fun for your cat. Whisky hasn’t tested this specific one but she has tried similar toys by Kong and she thoroughly approves! This stick shaped catnip roll is made up of a tough outer skin filled with 100% catnip. 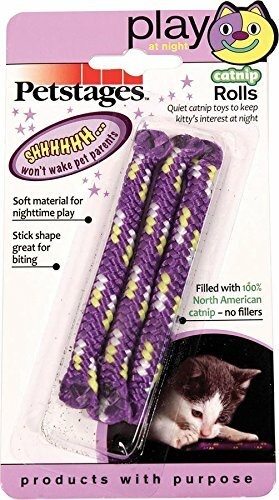 It is soft and therefore quiet so hopefully your cat wont wake you up if they decide to play with it at night! It’s simple stick shape makes it easy to bite and chew. Free UK delivery by 1st class post. A pack contains 1 handmade mouse. 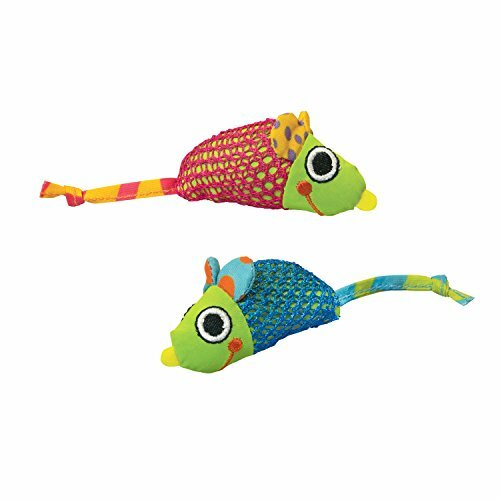 These beautifully crafted fabric mice come in an array of seven different colour combinations (not that your cat will care which one you choose for it!). They are filled with high strength leaf and flower catnip which most cats will love! Unfortunately they are not refillable but they look so good that once your cat has had enough of it you can use it as decoration somewhere and because they are quite cheap you won’t break the bank ordering several so your cat doesn’t run out. Our cat Whisky also tested this catnip toy out and she loved it, she told me to tell everyone that the catnip in this toy is A-grade stuff! A great little toy that encourages your cat to play with you. Our cat loved this toy although I don’t think there is a huge amount of catnip in it as she didn’t respond to it as she normally would with regular catnip toys. 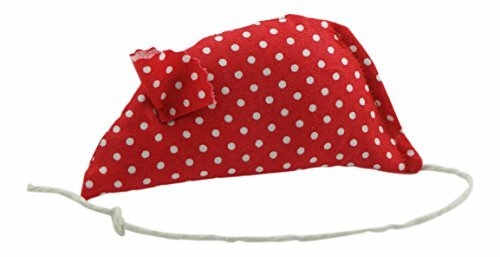 It is slightly flimsy and the elastic may well break after a few vigorous play sessions and you have to be careful that your cat doesn’t get tangled up in it so this toy is only to be used while you are actively playing with your cat. Having said that this is a great little toy for anyone who is looking to encourage their cat to engage and play with them a bit more. Simple but effective, four small catnip filled mice. Our cat very quickly lost most of hers under the sofa and then proceeded to stare at us until we rescued them for her. She certainly enjoys playing with them though so they make a nice simple catnip gift for your cat. It may not look like the most convincing of Squirrels at first glance but you cat wont mind! It’s big fluffy tail also provides plenty of fun for your cat. 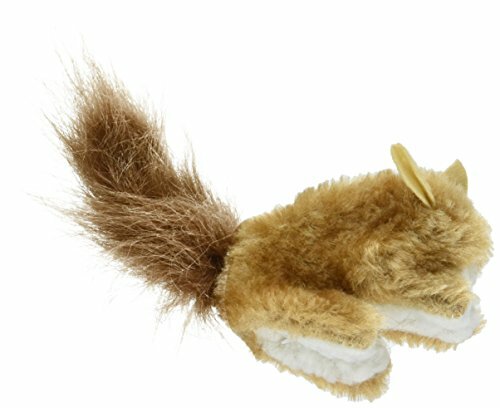 The belly of the squirrel has a Velcro opening which opens up allowing you to refill it with catnip when it loses it’s scent so this catnip toy can last your cat a lifetime providing you have a good supply of catnip available to refill it with! One drawback with it is that if your cat is being particularly vigorous in its attack on the squirrel there is a chance that the velcro may open up a tiny bit and leak bits of catnip onto your floor, it is very well secured and is sewn into the belly so its unlikely to happen but there is always a possibility! This toy also comes with a good bit of catnip included. Whisky loved this banana shaped catnip toy, the extra strong catnip is irresistible to any cat including those that are not blessed with the keenest sense of smell. It’s not refillable but the strong catnip seems to keep going for a good while. Our cat has been testing it for a good month and she is still getting many a catnip high from it. I’m not quite sure why they decided to go with a banana as cats aren’t known for their love of fruit, maybe it’s so you can discreetly hide it in your fruit bowl? Either way this is a great product for a cat who may not have the sharpest nose and as it is sealed up (not refillable) it means you aren’t accidentally going to get your lounge covered in catnip! Catnip is incorrectly sometimes confused as being a cat grass however it is actually a herb which comes from the mint family known as Labiatae. Typically it has hairy stems with dark green leaves which are often heart shaped. Does your cat ever eat grass? Read our article on ‘can cats eat grass?‘ to find out everything you need to know. The catnip plant produces small flowers which grow up to about 1cm tall in short spikes. Although there are more than 260 variants in the Labiatae family, many of which cats will react to, the most common types of Catnip are common catnip (Nepeta Cateria – this is what is used in most cat toys), Camphor catnip (Nepeta Camphotata), Greek catnip (Nepeta Parnassica), Lemon catnip (Nepeta Cataria Citriodora) and Catmint (Nepeta Mussinii). The common catnip plant will grow up to three feet tall and produces white flowers. It usually produces a strong reaction in receptive cats. Cats react strongly to catnip because it contains an oil called Nepetalactone. The oil stimulates a hallucinogenic affect in cats, some people say the effect Catnip on cats is similar to the effect of LSD or possibly Marijuana on humans but there’s no real way to be sure about that. Nepetalactone is found in the leaf and stems of the catnip plant. The way in which cats roll around on the floor when they are reacting to Catnip suggests that they are experiencing the same sort of pheromones which they would release during exciting and stimulating activities such as playing, hunting and even courtship activities, this is because catnip acts like a hallucinogenic. Your cats state of euphoria will typically last 10-15 minutes with a two hour cooling off period before they can go back and experience the same effects again. Not all cats will react to catnip, in fact only around 60% of the cat population are responsive to Nepetalactone. This is a trait which is inherited, some cats may have no interest in catnip simply because it isn’t in their genes. Interestingly big cats including Lions, Tigers and Leopards also react in the same way as small domestic cats to Catnip. Catnip is also quite useful for humans…it’s not going to make you hallucinate but it can help with upset stomachs when eaten. It can also be used as a natural insect repellant and is said to have a calming effect when drunk as a tea. We hope you enjoyed our list and we are sure your cat will enjoy trying out some of these catnip toys!